We're giving two more books from Moody Publishers away today! 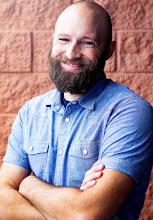 For all sorts of cool behind-the-scenes stuff that goes on at their publishing company, visit Moody's blog, Inside Pages. 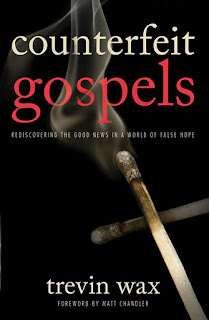 The first book is Counterfeit Gospels: Rediscovering the Good News in a World of False Hope by Trevin Wax. For a book trailer featuring Trevin, visit WTSbooks.com. 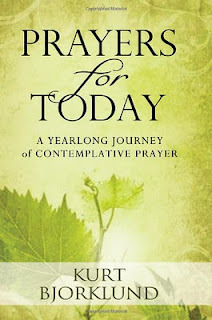 The second book is Prayers for Today by Kurt Bjorklund. For the publisher's description of both of these books, see yesterday's giveaway post. If you struggle with the discipline of prayer (like I do), this book seems to be (pardon the phrase) an answer to prayer. There are 260 pages for 260 days of prayers, one for each weekday of the year if you don't care to do the math. So in dedicating just a few minutes each day to one page of reading, your prayer life could greatly benefit. Every day of prayers begins with Scripture. Some of them are unaltered while others, formed to fit the posture of a prayer addressing God, are a paraphrase by the author. For instance, 1 Peter 1:13 has been changed to read, "Christ Jesus, may I prepare my mind for action and be self-controlled, setting my hope fully on the grace to be given to me at Your coming." There is quite a heritage represented here as there are more than 500 ancient and classic prayers from a number of traditions. 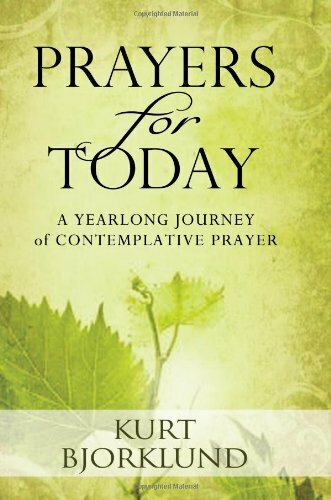 Every ten days the book cycles through ten types of prayers: thanksgiving, confession, affirmation, petition, renewal, praise, for Christlike character, for wisdom, intercession, and surrender. With the exception of Andrew Peterson and his magnum opus Behold the Lamb of God, there is no artist that drives me to worship through Christmas music like Future of Forestry. These guys are the most creative, expressive, impressive group of musicians I've never seen (but hope to remedy that soon). Much like a movie's score can take you back to relive the emotions of the movie (i.e. Gladiator), I would say their music will take you somewhere in the same way. Check out their Advent Christmas EPs, Vol. 1 and Vol. 2. I will be sharing a few of their videos throughout the giveaway, but if you've never seen someone play their electric guitar with a violin bow, this video is a must-see! Joy to the World. Just a good reminder of what the whole season is all about. O Holy Night. Beautiful song!